Do you know someone who is inspiring you to make games? A hard-working leader or teacher who has a passion and dedication for game making and design? 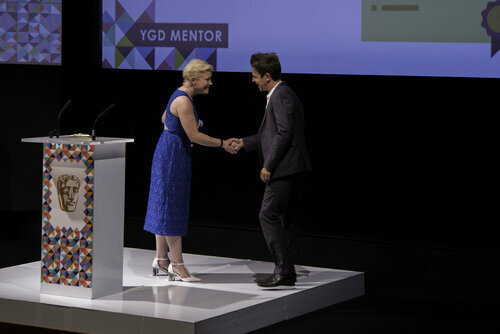 Find out more about our YGD Mentor Award, and how you can apply, below. 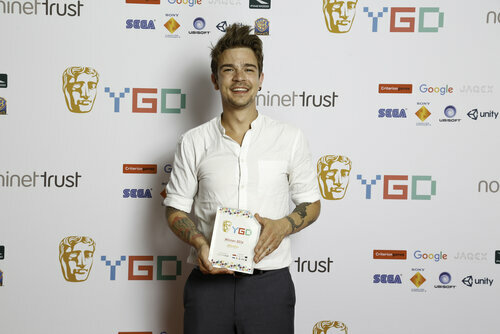 This award is presented to an inspirational individual involved in the education of young game creators in the UK. We are inviting nominations from members of the general public to nominate a mentor, teacher, code club leader or other educator who has inspired young people to learn programming and game design skills – particularly reaching out to young people who might not typically try their hand at game design. 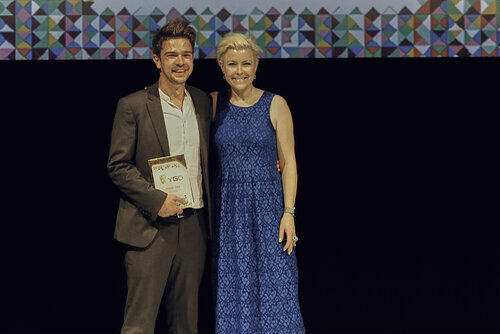 The YGD Mentor Award was presented to Adam Syrop from Impact Gamers, for his dedicated and inspiring work with young people. I set up Impact Gamers to make a difference in the lives of young people who lacked the opportunities I had growing up. A chance to go to a safe space, learn about coding, get games published online and make friends along the way. Thanks to Impact Gamers, young people in West Bowling, Bradford, have access to workshops, open arcades, afterschool groups and mentoring. Game making is used as a vehicle not just for developing creative skills, but talking about sensitive issues and building confidence. 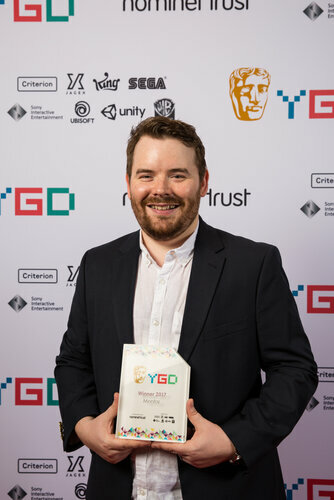 The YGD Mentor Award was awarded to Dave Chilver from Lowestoft Sixth Form College for his inspirational work with young game makers. Dave has helped local schools develop their own games curriculum by creating the Lowestoft Young Game Designers. The UK is a global leader in the ever-expanding games market, and it’s vital that we nurture talent in games creation in our schools, give young people as many opportunities as possible to develop creative, narrative and coding skills and educate young people on the many viable and exciting careers in the industry which are open to them. 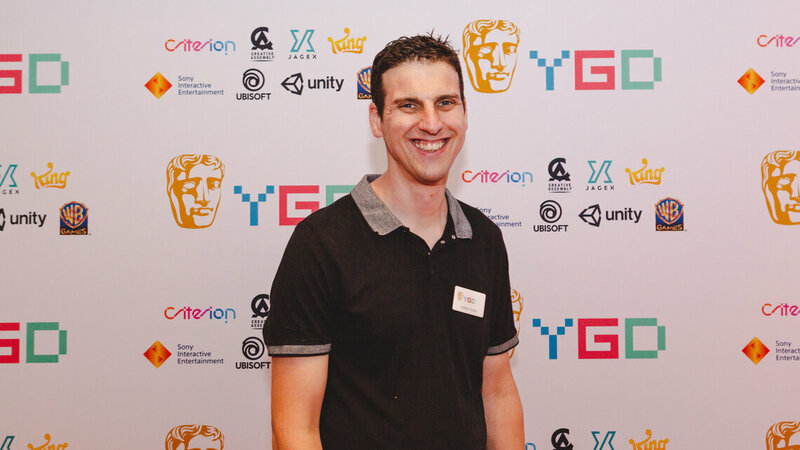 Michael is Head of Games Development at Cambridge Regional College and creator of Rizing Games - the first FE educational commercial games development studio in the country. As part of Rizing Games, Michael’s students now run a stall at E3 every June and continue to be the only UK-based college or University to attend and exhibit commercially released games. Michael said his award win was "pretty unbelievable, with so many amazing people being nominated". 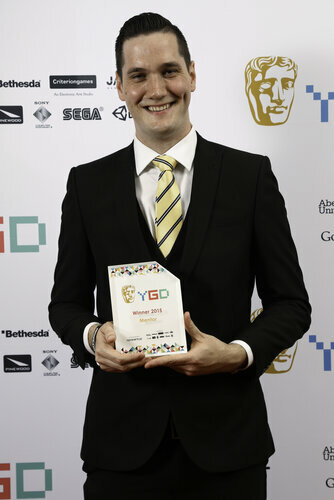 Michael's work gives young game developers a chance to gain a qualification, as well as showcasing their work and build that all-important portfolio which will help them to launch a career in the games industry. Ray is Head of IT at Uppingham Community College in Rutland, East Midlands. 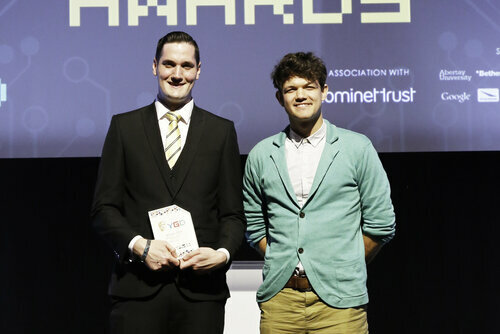 He runs a successful extracurricular coding club for his students and also visits local primary schools to introduce younger children to coding. He is also a regular blogger. 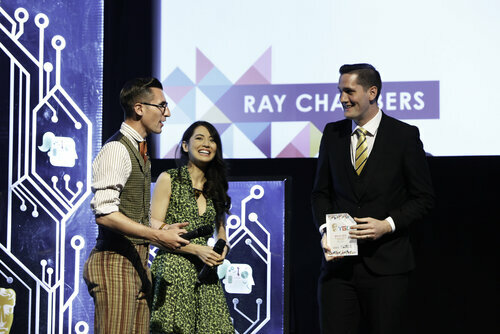 Ray was clearly over the moon to win the award: "I was so overwhelmed! It was so unexpected and to be honest, everyone in the category was so deserving! I was very humbled to be there."